NORTH KENWOOD HISTORICAL UP AND COMING AREA!! Opportunity to own a TRI PLEX (zoned as a four plex) with well established income producing property on a DOUBLE LOT, all within biking distance to beautiful downtown St. Petersburg! Two 1/1 units ($700. and $650. per month) are rented to well established renters. The 3rd unit is a gorgeous 2/1 completely remodeled home also currently rented for $1200. a month. 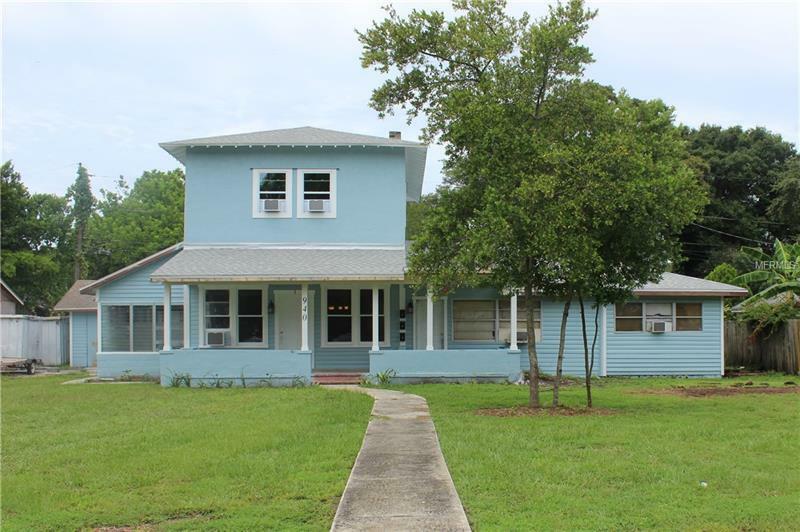 Remodeled home features, brand NEW kitchen and bathroom, refurbished original hard wood floors, new windows upstairs, all new a/c wall units throughout, new paint inside and out and wrapped front porch ceiling. Home is full of historical vintage charm, complete with soaring 12 foot ceilings and restored 8 inch crown molding and baseboards throughout. NEW ROOF ON ALL UNITS, updated electrical and a 4 th detached structure that can be used as a workshop, storage or is zoned to be a fully functioning efficiency unit complete with plumbing, electricity and permitting complete (just needs to be finished)! Double lot provides plenty of off street parking and room to expand! Value of this property continues to grow as street and Kenwood historical area continues to be refurbished and restored. High market value homes all around! Booker Creek Park down the street. Copyright © 2019 Mid Florida MLS. All rights reserved. The data relating to real estate for sale on this web site comes in part from the Internet Data Exchange Program of Mid Florida MLS. Information provided is for consumer's personal, non-commercial use and may not be used for any purpose other than to identify prospective properties consumers may be interested in purchasing. Pinellas Commercial Properties participates in the MFRMLS Internet Data Exchange (IDX) program, allowing display of other MFRMLS broker's listings on this site. However may not include all listings currently available. Information is deemed reliable but not guaranteed. Information last updated at 2019-04-22 02:59:36.